Vista 7 Delayed Already: Not in 2009? ON several occasions before we had argued that Vista 7 was unlikely to be released in accordance with Microsoft’s unrealistic schedules. 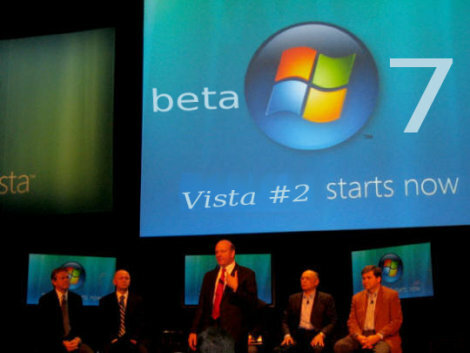 Despite being hurried through the door while still in poor shape, the following report from CNN suggests that Vista 7 will be out no earlier than 2010, just like Office 14, which has just been delayed until 2010 at the earliest. “Windows 7 is scheduled to ship in early 2010,” says the article, possibly indicating that Microsoft said something along those lines a few days ago. Slightly off topic, but I had another topic about the Windows 7 beta. I use Alphas and Betas of Linux distros (mostly Fedora and Kubuntu) much of the time. I enjoy using cutting edge stuff and solving some of the problems that happen with Betas and Alphas. (I should be a little bit better about reporting bugs!) I had little joy using the Windows 7 beta. It’s not like the user can rationally be expected to fix anything given how much more complicated Windows 7 is than Linux. And it’s not like I’m that I don’t know Windows. Like most people, I have been forced to use it in work situations. I know that Betas aren’t for everyone, but for the group of people sometimes referred to as “power users”, Linux betas bring much greater joy. “Vista #2 starts now” Is that like “The Wow is Now” again? LOL. Didn’t “wow” lose its caché? Now that I’ve tried Linux, I think I’ll go for it since I can play wow.